The court imposed various conditions while granting bail to Ryan Pinto, and his parents, Ryan International Group's founding chairman Augustine Pinto and managing director Grace Pinto. 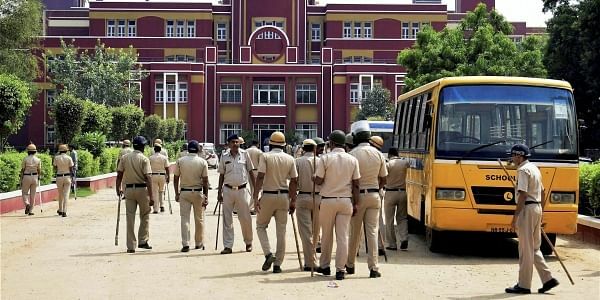 CHANDIGARH: The Punjab and Haryana High Court today granted anticipatory bail to Ryan International Group's three trustees in connection with the killing of a student in its Gurugram school. The single bench of Justice Surinder Gupta also imposed various conditions while granting bail to the group CEO, Ryan Pinto, and his parents, founding chairman Augustine Pinto and managing director Grace Pinto. "The high court has granted anticipatory bail to them (Pintos)," Sushil Tekriwal, the lawyer representing the victim Pradhuman Thakur's family, said, adding they will challenge it in the apex court. The court said the Pintos will not try to influence the witnesses, tamper with any evidence or leave the country without permission of the court. They will present themselves before the CBI for interrogation whenever asked by the agency, according to Tekriwal. The Pintos' were represented by advocate Sandeep Kapur. Tekriwal said, "we will file an appeal in the Supreme Court challenging order of granting anticipatory bail after studying the judgement." As the hearing resumed today, the CBI counsel submitted a status report in a sealed cover in connection with the case. On October 7, the high court had granted interim bail to the three trustees. Ryan Pinto, and his parents, Augustine Pinto and Grace Pinto, had approached the high court on September 16, seeking anticipatory bail in the case. Class 2 student Pradhuman Thakur was found with his throat slit in the school washroom in Gurugram on September 8. School bus conductor Ashok Kumar was arrested by Haryana police in connection with the crime. A Gurgaon civil court today granted bail to Kumar on a bond of Rs 50,000. The Haryana government recommended a CBI probe in the matter. The premier investigating agency took over the probe in the case on September 22. A Class 11 student who allegedly wanted the parent- teacher meeting and exams to be postponed was apprehended by CBI this month in connection with the killing. On September 25, the high court had impleaded the CBI as a respondent in the petition seeking bail filed by the three Ryan International Group trustees. On September 14, the Bombay High Court had rejected the anticipatory bail pleas of three trustees. The Pintos, who are based in Mumbai, had approached the Bombay High Court as they had apprehended arrest in the case after the school was accused of negligence in the death of seven-year-old Pradhuman.